The N49 W119 Residency is pleased to present Time Will Tell, a one night only, site-specific installation project by Rosanne Bennett, Deirdre Hofer, and Wanda Lock. 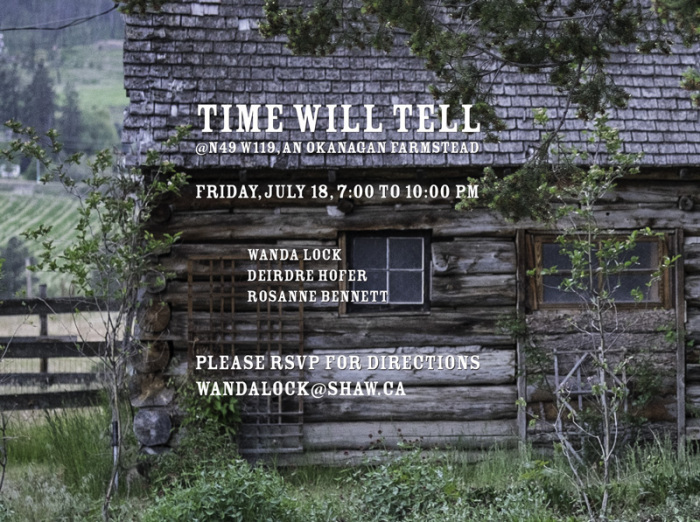 Set in a converted horse stable on an historic Okanagan farmstead that was once an active orchard, this installation project brings together ideas of time, history, and the way events are remembered and forgotten. 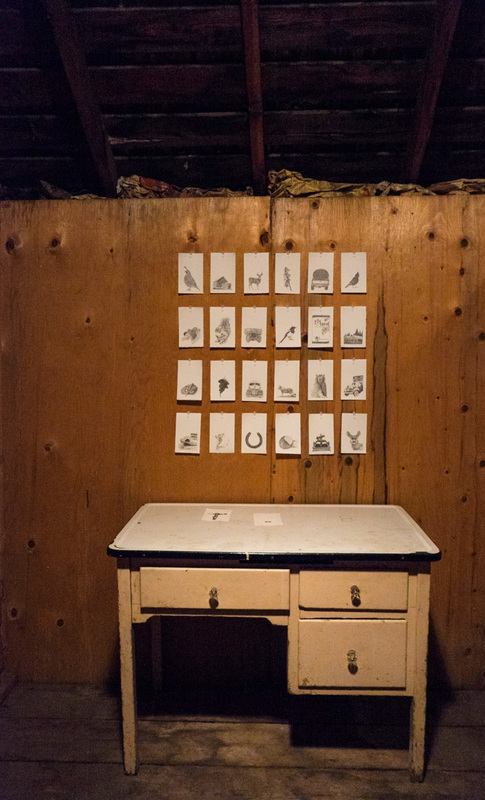 Rosanne Bennett’s Farmer Trading Cards reference objects and aspects of farm life that playfully endeavour to connect the history of local orchards and farms. Concurrently, her Nursing Manual Collages offer a more curious and disengaged surrealism. Deirdre Hofer’s work Stare confronts the viewer with snowman-like apparitions whose immediate cuteness gives way to the desperation of souls longing to be remembered. The slideshows Melting Vanilla and Melting Black show the sorrow of neglect in the form of discarded ice creams. Wanda Lock’s While you were gone… is an installation of drawings, that when together, create a conversation about the space between coming and going. Some photos of opening night on link below – check back for more photos of our artwork to follow soon!